The International Day of Families is being observed for the eleventh time on 15 May 2004. Proclaimed by the United Nations General Assembly in its resolution 47/237 of 20 September 1993, this annual observance reflects the importance which the international community attaches to families regarding their situation around the world. The International Day of Families provides an opportunity to promote awareness of issues relating to families as basic units of society as well as to promote appropriate action. Governments, non-governmental organizations, educational institutions, religious groups and individuals can promote a better understanding of the functions and problems, strengths and needs of families by organizing observances of the International Day of Families. The Day also provides an opportunity to increase knowledge of the economic, cultural, social and demographic processes affecting families. In preparing/or the Day, Governments may wish to use 15 May as an occasion to initiate family-oriented projects, entry into force of family legislation or starting discussion on family policies in the country (special conferences, cultural festivals, special announcements end other similar events). The support and active involvement of the media in its programme is central to the success of the Day. Because the Day is a very time-limited event, it lends itself well to an intensive and focused media campaign. The official logo for the International Year of the Family has become a permanent fixture of the International Day of Families, and represents a useful instrument for such action. The active engagement of the non-governmental organizations is instrumental in the success of the Day’s observance. For the International Day of Families in 2004 and successive Days, it is vital that non-governmental organizations once again fully mobilize their invaluable substantive expertise, organizational potential, grass-root outreach as well as human and material resources. Governments should seek the active partnership of non-governmental organizations and provide necessary support for the activities of the voluntary sector. Partnerships among public, private and volunteer organizations that serve families should be encouraged. Family and community fora and workshops, to explore issues and offer options for strengthening families. Fora can also provide information on family support services, such as counselling, financial assistance, advisory and information services. Special events in educational settings such as parent/teacher gatherings or student activities can highlight families. Special family fares or free family tickets on public transportation and other incentives to give additional emphasis to the Day and to facilitate the involvement of families. Free entrance for families to museums, exhibitions, concerts and other cultural attractions. Official proclamations of the Day by mayors and other local authorities. Production of documentary films or promotional vignettes on families to be shown on national and local television stations. 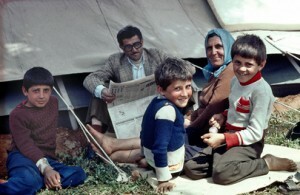 Arranging special exhibitions of publications, photographs, children’s drawings, posters and other materials on families. Coverage of the Day’s events by the news media, including television, radio and newspapers. The latter could also carry feature articles and special supplements on the Day, as well as a series on family issues. Organization of essay competitions on the family. Press conferences by research institutions and others concerned with family issues can raise public awareness of priority concerns.